Derrick is away, so Ben welcomes Jason Cohen, CTO of WP Engine and four-time entrepreneur. Jason knows a thing or two about startups and mentoring them to achieve profitability and growth. Jason is a straight talker and tells it like it is to get to solutions sooner. He encourages bootstrap founders to find an advisor who aligns with their goals. You need to know how to take advice and use advice that is right for you and your business. Even if you get great advice, think for yourself! Derrick continues to make progress and work toward his self-imposed deadline for Level. He was able to implement and ship batched notifications for the product, which replaces the instantaneous push notifications you would get from a chat tool. It’ll probably be one of the key features to sell as part of the “Level” way. But he’s wondering how to leverage interesting features in marketing. Ben has been thinking about the same thing with Tuple. He wants to make some features of his product be a seperate, discrete entity that deserves its own spotlight. Capitalize on features! Derrick had an interesting week with Level. He focused on important features that will be a part of the product, including notifications dependent on team members’ jobs. Some may want more asynchronous and unobtrusive notifications than others. Level distinguishes configurable notifications based on different roles on a team. Notification policies seem simple on the surface, but are actually very complicated. Ben announced that November was Tuple’s best month ever for marketing! But now, he is approaching the alpha for Tuple and will focus his attention on product management. Ben wants to figure out what works and what doesn’t. After all, when you can see the wrong thing, the right thing becomes so much easier. Ben launched Habits for Hackers, a workshop that cultivates habits that lead to an impressive and fulfilling dev career. He incorporates books written by others and makes that content applicable to participants. He’s going to figure out the rest of the details for the course while flying by the seat of his pants. For now, Ben’s just bathing in the dopamine of watching numbers happen! Derrick has been doing some launching, too. He announced that the end of January will be the beginning of the Level launch and Level can now be pre-ordered (generated about $2,000 so far). Derrick admits that he’s always derailed pretty heavily on launch days. He doesn’t even think about trying to get much productive stuff done. Derrick shipped Level’s Daily Digest feature, which includes a summary of unread/read posts, sampling of posts/replies, and call to action. Also, thanks to Derrick killing it on Twitter, Art of Product’s social media presence is now legit! Branding and awareness of Ben’s Tuple pair programming tool has garnered interest from well-known companies. So, it’s time to set a deadline for Tuple’s alpha. Derrick had a productive week with Level. His deadline of late October to have alpha users try it was looming. So, he has been a bit stressed out. But thanks to relaxation techniques that work for him, Derrick was able to talk himself off the edge! Ben understands the needs for coping techniques. When little things in his personal life aren’t under control, it’s much harder for him to be productive at work. Every thing’s interconnected. Ben is working on marketing plans for Tuple and it’s associated Pair Programming Guide. So, what does someone he admires think of his growth and content marketing plans? 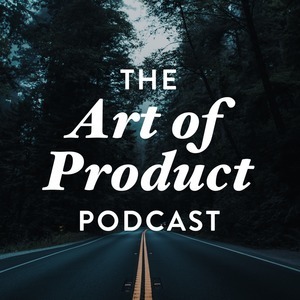 In this episode, Ben’s special guest is Julian Shapiro, who shares lesser known growth tactics he has used in his content marketing to be successful. Adam Wathan, a software developer, writer, speaker, and entrepreneur joins Ben and Derrick on this episode. Adam is also the creator of Nitpick CI, author of Refactoring to Collections, and host of the Full Stack Radio podcast. Usually isolated and working alone, Adam enjoys the opportunity to chat with others about what everyone is working on. It’s like a mastermind session that’s fun and rewarding! Ben and Derrick are joined by Brian Casel, podcaster, cofounder of Big Snow Tiny Conf, and known as “Mr. Process.” The three are fans of podcasts and conferences because they offer time to build relationships with people and talk deeply about things. In this episode, they share their updates and thoughts on involving others in their day-to-day processes. It brings everyone together to learn from each other, as well as build a community and consensus. Ben recently returned from an entrepreneur retreat that featured sessions and activities focused on various topics, from projects people were working on to troubles with cofounders. Attendees were able to be honest, open, and transparent with each other. Ben had the opportunity to demo Tuple during the retreat. Feedback was that there are too many people working on its development, so he should focus on marketing. Derrick emphasized the importance of keeping in mind the cost of getting someone caught up to speed on a project. He has thought about hiring a contractor to help with the development of Level, but decided that his single brain was enough. Ben has been focusing on MacOS development and writing code. There’s so much he doesn’t know. But that’s ok. He strives to regularly learn things - just keep making progress for it to feel less intimidating. Derrick has the same mindset. It’s ok to not know everything. Start with the basics, and keep going. You’ll figure things out eventually.